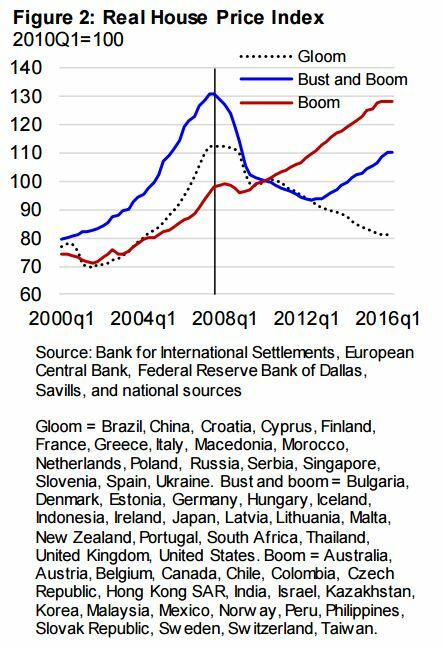 The first cluster—gloom—consists of 18 economies in which house prices fell substantially at the onset of the Great Recession, and have remained on a downward path. The second cluster—bust and boom—consists of 18 economies in which housing markets have rebounded since 2013 after falling sharply during 2007-12. Read the full report for details and IMF assessments of house price valuations in various countries.